What is the Total War: Three Kingdoms release date? Total War games come in all shapes and sizes now – the meaty Warhammer fantasy spin-offs, the slighter stopgap titles like Thrones of Britannia, and even a competitive live game in the form of Arena. But Total War: Three Kingdoms is the next biggie – a grand strategy game that straddles the second and third centuries of Chinese history. It comes in a spruced up engine, too, leaving behind the Attila version that was starting to look a little creaky by the time Britannia came around. You shouldn’t mistake this for a ‘traditional’ Total War, though: Three Kingdoms doesn’t look solely to the history books but also The Romance of the Three Kingdoms, a novel written in the 14th century by Chinese author Luo Guanzhong. A consequence of that is that Three Kingdoms isn’t the tale of units shuffling around the map – it’s the tale of named heroes with personalities and relationships that influence the action in Creative Assembly’s latest strategy epic. If you’re a Total War devotee, those last couple of paragraphs have probably raised a few questions, so we’ll endeavour to answer them. Here’s everything we know about Total War: Three Kingdoms. 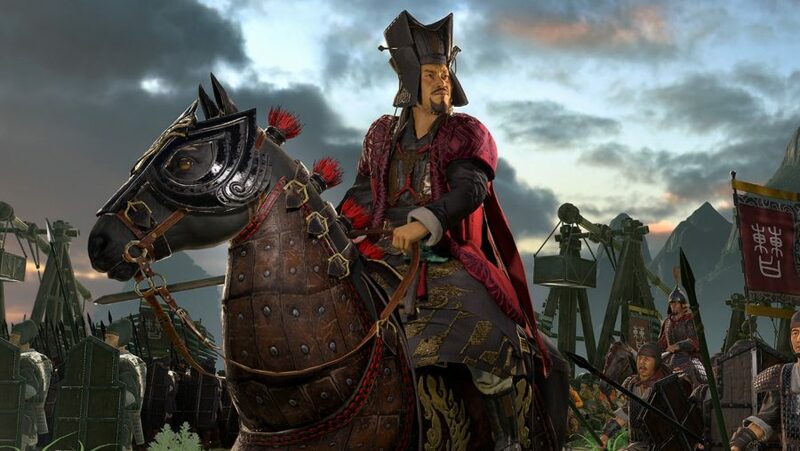 Creative Assembly’s strategy game has seen its second delay: The Total War: Three Kingdoms release date is May 23, 2019. However, for keen fans of the series, a Total War: Three Kingdoms Early Adopter bonus gives you access to bonus DLC, the ‘Yellow Turban Rebellion’, which includes a new unit roster of religious and spiritual warriors plus three new hero classes. Hopefully that assuages your pain. As should be clear by now, the chief departure of Three Kingdoms from Total War convention is a focus on heroes and their personalities. Our time with a nocturnal ambush between faction leaders showcased just how gorgeous Total War: Three Kingdoms is. What that means in practical terms is a deep character system called Guanxi – named after a Chinese cultural concept rooted in relationships. Each character will have individual traits and personal connections, which will govern their usefulness. As your armies fight their way across their map, they’re forming friendships and rivalries. You’ll hire characters not only for their battle prowess, but for their connections. Moreover, that means Total War: Three Kingdom’s diplomacy is deeper than ever. Inspired by Paradox’s Crusader Kings II, each faction leader can take a shine to you and then die, leaving room for your next enemy in their place. You can trade more with your rival factions than just items now, too: you can arrange marriages and even swap territory. Beneath the 11 named warlords in Three Kingdoms are two further tiers: Heroes and Generals. Total War: Three Kingdoms Heroes define the makeup of your forces – you can assign up to three to each army, affecting your unit recruitment options. Total War: Three Kingdoms Guanxi sounds rather nuanced. Some characters are destined never to be mates, like Lu Bu and Xiahou Dun – the former of whom claimed the eye of the latter in battle. They say ‘forgive and forget’, but that’s the kind of constant reminder it’s difficult to move past. Total War: Three Kingdom’s sieges will also be different, as you can now target settlement buildings during your assault. For instance, you can take out an enemy granary and escape, preventing your rival from enjoying its perks. Of course if you capture the settlement then you’ll need to rebuild what you’ve trashed. This isn’t the only first for a Total War game, either: the new Total War: Three Kingdoms day/night cycle will change the conditions of your assault. On returning systems, however, Total War: Three Kingdom’s spies are back, but with an entirely new system behind it. It’s been common for spies in Total War games to be a class of Agent, but now they are recruited from the ranks of normal characters. As ever, these characters have certain personality traits and circumstances may emerge that make them “willing” to spy on an enemy for you. For every warlord there’s a faction – so that makes 12 in total. So far we know the names of four: Cao Cao, Liu Bei, Dong Zhuo, and Sun Jian, though the characteristics of these Total War: Three Kingdoms factions are swathed in mystery. Regardless of the group you choose to control, Total War: Three Kingdom’s faction design means that your faction’s strengths and weaknesses change during the game on campaign mode. There are two modes in the game: Romance and Total War: Three Kingdoms Classic mode. The latter is for fans of historical accuracy, rather than the more fantastical elements present in Luo Guanzhong’s Romance of the Three Kingdoms. While Classic caters to the traditional Total War experience which long-serving players will be accustomed to, but Romance explores the fantastical, romanticised view of generals from the time. We haven’t had a glimpse of Creative Assembly’s romantic take on China yet – though for an idea of the dimensions, take a look at any real-world map. There’s to be a stronger link between the campaign map and the actions taken during battle than ever before. The buildings that you create for your cities during the grand strategy portion of the game will be visible during battle. Not only visible, in fact, but flammable. In this context, burning a granary becomes a strategic decision – you’ll starve the enemy of resources, but also lose a building in a city you may take for yourself later. Total War: Three Kingdoms was announced this year with a cinematic, which sets the tone for a game about champions and warlords. That was followed by an in-engine trailer to sooth the upset of the delay, starring one of the Three Kingdoms leaders, the siege strategist and speechmaker Cao Cao. And finally, just before E3, we got genuine gameplay footage. It finds Cao Cao in his element, directing trebuchets to knock a hole in the wall of a city run by a rival character, Lu Bu.